This is a bonus rant for today, because as you probably know, something happened today that really tears into the hearts of baby boomers everywhere. 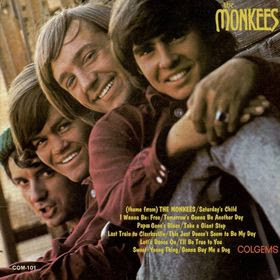 Davy Jones, once and forever a member of the Monkees, passed away today. He was 66. 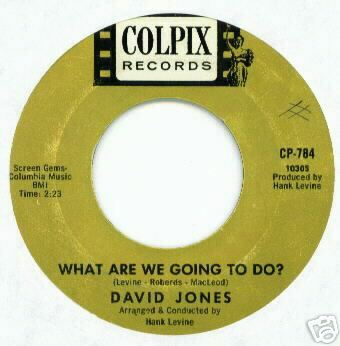 You can find out lots about Jones just by surfing the web. His name has been trending for hours now, and there are hundreds of stories on him popping up on the Web by the hour. So I am going to look at Jones from my perspective, and my perspective alone. You probably will see things in here that are from where you sit, too, but I am not going to give you that many facts, just some personal observations. On that September Monday night in 1966, my sister and I turned on our old Dumont black and white TV, which was in our living room when we lived in Rochdale Village, Queens, New York. It was 7:30 p.m., and a new show was debuting that looked pretty interesting to this nine year old's eyes. Just a few years before, I had fallen in love with the Beatles. Not love like you are thinking, but I thought the Beatles were the coolest things ever. They had started to get a little weird by 1966, and while I wasn't losing interest, I needed something new to enrapture me--and I found it on that September night. 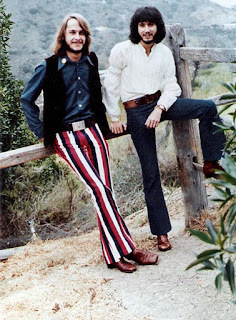 My sister and I fell lock, stock and barrel for Peter, Micky, Mike and Davy, the Monkees! There was something fresh about this show that we really liked. It was like watching a live action cartoon, and with rock and roll music! We were in heaven on earth here. My mother ran out and bought their records for us, like "Last Train to Clarksville" and "I'm a Believer." The first record I ever bought with my own money was "A Little Bit Me, A Little Bit You," which I bought at the Kress store in Rochdale's first mall. And Davy was the lead singer on that tune. My sister covered her walls with Davy Jones pictures and posters. 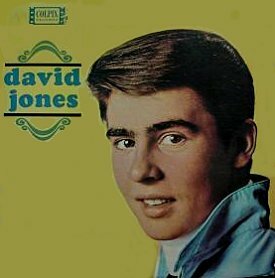 I preferred Mike Nesmith, but I really didn't mind Davy Jones at all. He played the tambourine and sang in my favorite rock band! 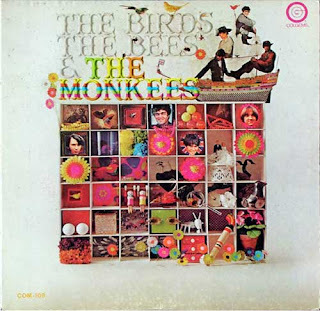 But the problem was that the growing rock establishment looked upon the Monkees as a canard, a farce, a joke. Sure, the foursome was talented, but they didn't have to work up the ladder to get to the top. They were cobbled together for a TV show, were given songs to sing, and heck, they didn't even play their own instruments early on! But you know, I really didn't care. 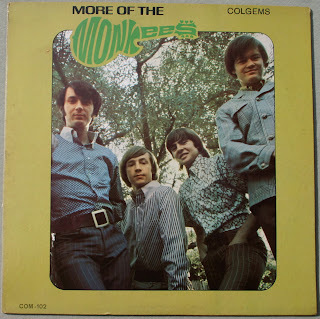 The Monkees were making music for my generation of kids, kids born from about 1955 to 1960. We were their target, and they hit the bull's eye. And through it all, Davy Jones was probably the least respected of the bunch. Some said he couldn't sing, some said he didn't have any rock chops. But they were wrong, oh how wrong they were. Jones, a former child actor in England, was musical, but from a different standpoint. His learning ground was the stage. He won a Tony for his performance as the Artful Dodger in "Oliver," and his stage persona set the stage, literally, for many performers that followed, with theatrics that in 1966 weren't understood enough to be appreciated. But from David Bowie (nee Jones--he changed his name to avoid confusion with the Monkee), and even Madonna and Lady Gaga, well, they got it. The theatrics you see at many rock concerts today started with Davy and the Monkees, who burst out of giant speakers when they entered the stage in those days. He was basically a stage actor who morphed into a rock and roller, and he did it flawlessly. There haven't been very many actors who have been able to do this, but Jones did it, and did it well. 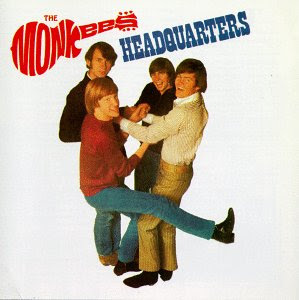 And when the Monkees were no more, Jones continued working, doing much stage work, mainly in England. He later even played Fagin in Oliver, believe it or not. For me, I searched out his records in the 1970s and 1980s, and put my ear to the grindstone to find out any information abou him that I could. Then 1986 and MTV happened, and the Monkees--less Mike Nesmith--were as hot as a pistol. And Jones and Micky and Peter were relevant again. But for me, they never really became irrelevant. 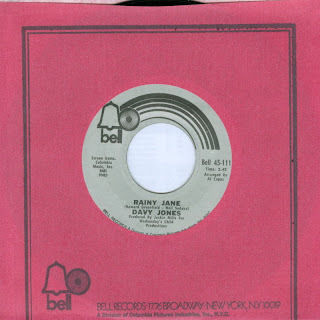 Over the years, through Monkees reunions and solo shows, I always followed Jones' career. He was never really out of my sight ever, and I do mean that sincerely. Whenever I could find out information on him, I ate up that information rapidly. And his influence is felt to this day. Don't tell me Justin Bieber hasn't learned something from Jones. Whatever you think of today's number one teenybopper star, there is a definite link between him and Jones. 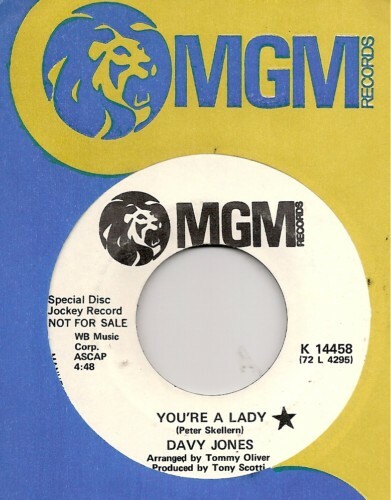 And while there were teen idols before Jones, Jones became the archetype for the modern teen idol. Every teen idol that followed him picked up something from him and from the Monkees, and that means from David Cassidy to Bobby Sherman to the Bay City Rollers to the Backstreet Boys, and yes, to Bieber too. I last saw Jones perform as part of the Monkees reunion tour last summer. He was effervescent as he always was, and I speak from experience--I've seen him dozens of times. One of the most memorable was in the 1990s, when he was performing as part of the umpteenth Monkees reunion. I saw him at Westbury Music Fair in Westbury, Long Island. He was performing with his mates on that legendary revolving stage that Westbury has, and for some reason, he lost his footing, fell off the stage, and fell on his arm. He got up as if nothing happened, went back on the stage, and completed the show without a hitch. We found out later that he had broken his arm, was in a lot of pain, but, you know, "The Show Must Go On." 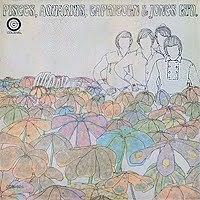 Back to last summer ... for the first time in their on again, off again history, the Monkees were getting terrific reviews for their reunion shows. And Davy was really into these shows, prancing around as if he were a man a third of his age. He seemed to be having a better time than the even the audience was having! So Davy, rest in peace. When I heard you passed, it was like a relative had left me. I have always been a fan, and always will be a fan. And yes, I am still a "Daydream Believer," and will be one forever. Here is the second and last part of the music that the duo P.K. Limited made for the Colgems label. Enjoy, and I will be back with more Monkees Headquarters radio show material sometime in the near future.